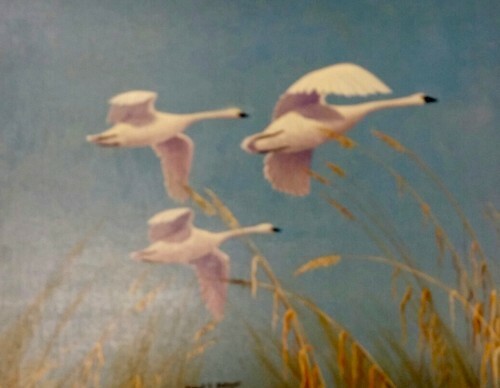 Noted Wildlife Artist, Robert Drenner lived in Culp Creek from 1934 until his death at age 77 in 1971. 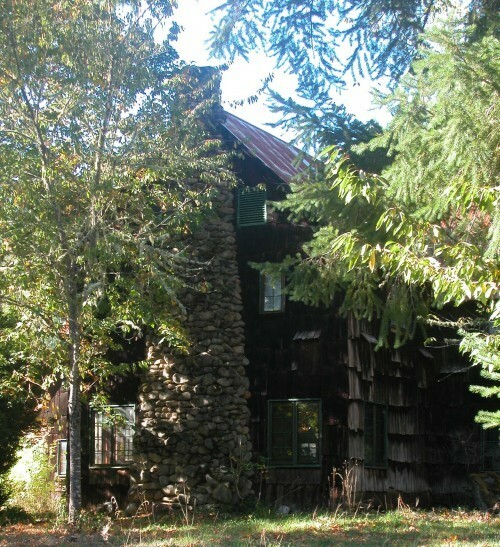 He purchased land on Lower Brice Creek Rd in 1934 and completed a large lodge style house by 1940. The land was originally settled by George and Sarah Kerr. Mr Drenner was passionate about wildlife and natural history. 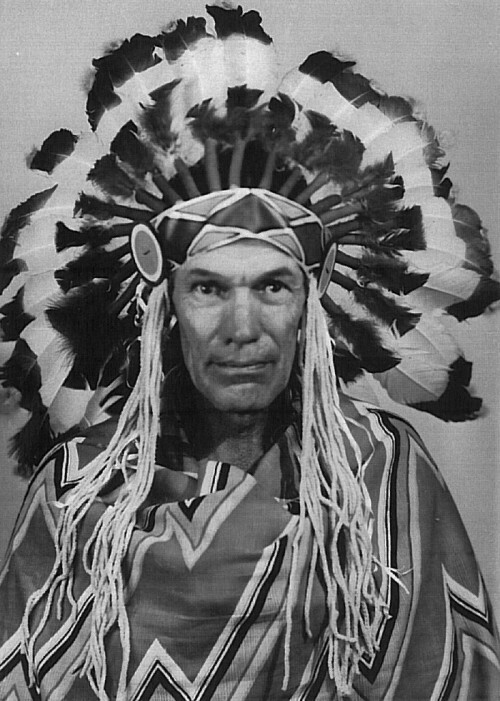 He chaired the Oregon Centennial Commission in 1959 and was instrumental in bringing about the reenactment of the Oregon Trail that year. He produced historic pageants in the Cottage Grove area, starting with a cast of 4 kids in Culp Creek. In 1940 he produced a large mural for the then brand new Cottage Grove High School. The mural was salvaged and is being stored by the Stewart Foundation. A number of paintings by Drenner hung in the old Cottage Grove Public Library in the building that now houses the Woodard Foundation. These beautiful geese are among them. 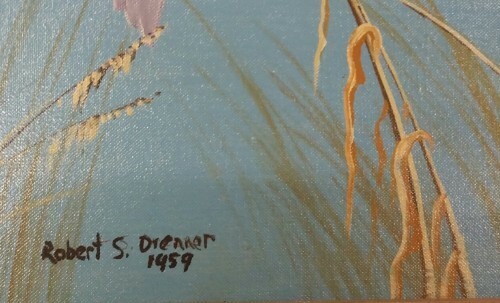 This detail shows Drenner’s signature. 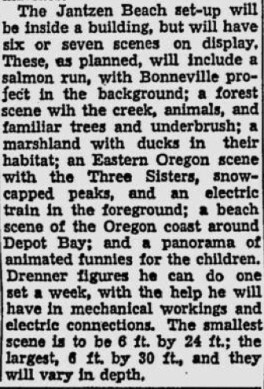 An old newspaper article shows the amount of work that went into a Drenner project. 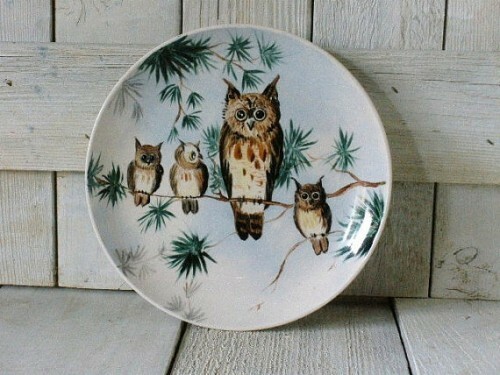 This whimsical plate by Drenner showed up on Etsy recently. What a great bit of history and I love the swan painting. Any idea what will happen with the mural? Not sure, I hope they find a good place for it someday. Robert S. Drenner was my great uncle. I remember visiting the home he built. Do you know who owns it now? Richard Wilcox owns the house now, I believe. When my Grandparents died, Bob and his wife Stella, took in my mother who was 14 or 15 at the time. My mother was married in their house at Culp Creek. Bob repainted the entire downstairs in a wedding theme with doves and silver bells. I spent many summers staying with Bob, learning about nature, wildlife, and how to fly fish, which he loved. As you might imagine, this site brought back a flood of great memories! The Cottage Grove Museum will have an exhibit at the Cottage Grove Library featuring the paintings of local artist, Robert Drenner, Friday afternoon, April 27th, 2018.